These three beauties belong to Double LB Longhorns in Mason, Texas, see their site. 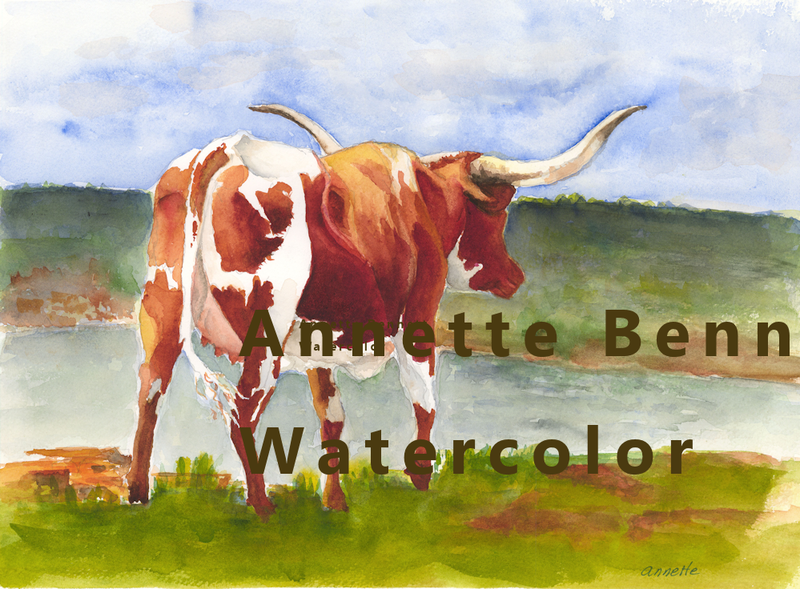 They are having a longhorn conference in June and have asked me to attend with my artwork. They are Hannah, Cactus Flower and Dusty. I challenged myself to expand on my development of background and foreground and to bring in some color. Also, I love the “runs” on Hannah’s back – the other two a more representational. 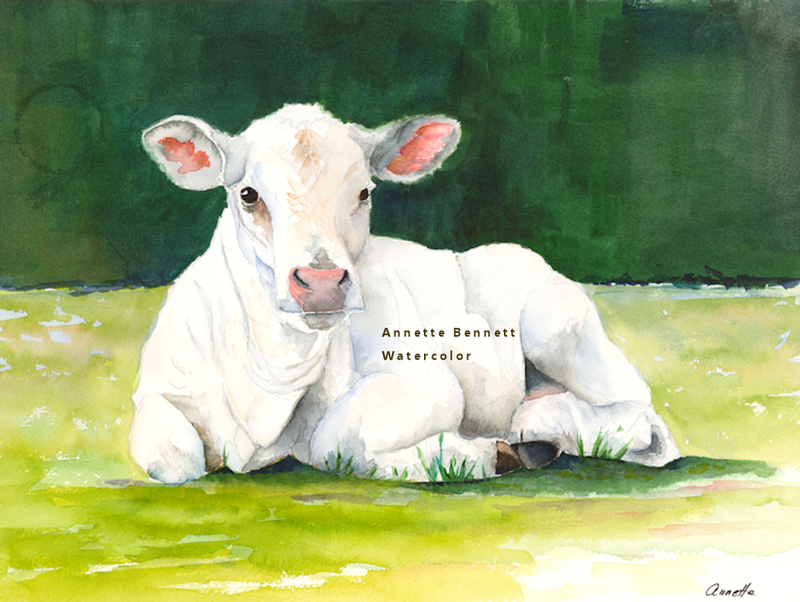 After completing these guys – I did a few easy loose watercolor on 5X7 paper – pig, donkey, chicken, etc. I have found my passion in painting! 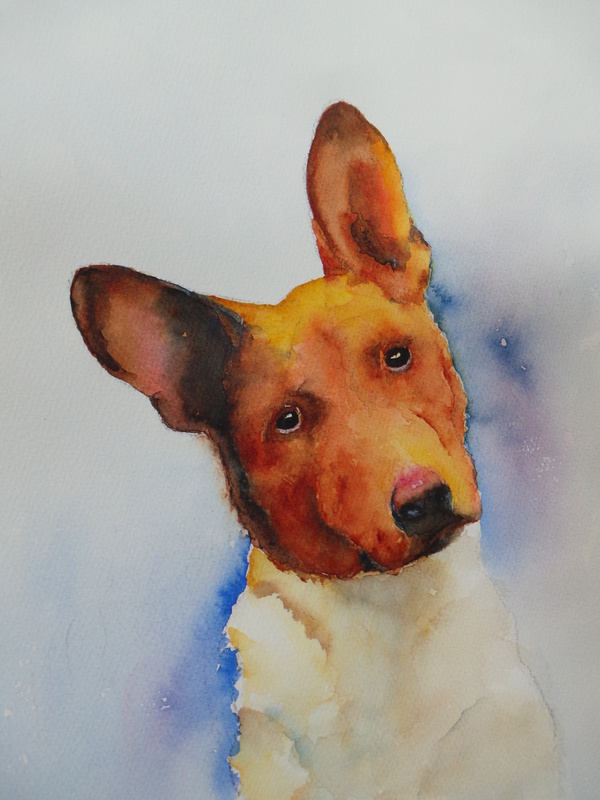 I was inspired by thoughts of a white Christmas to paint white dogs over the holidays. The Westie just had to be done light and fluffy and with lots of color – like the lights refracted and bouncing off the snow. The Dalmatian turned out so regal! and of course, the Basset – cute as always. 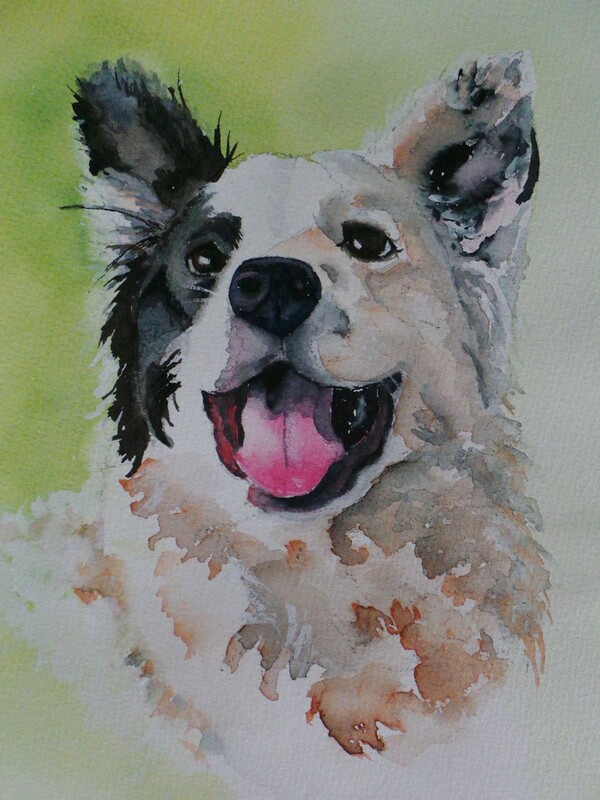 border collie painting just completed. this dog was a live wire really wanted to be busy and not posing. This dog belongs to a friend of mine – this was when she was younger – cutest expression. 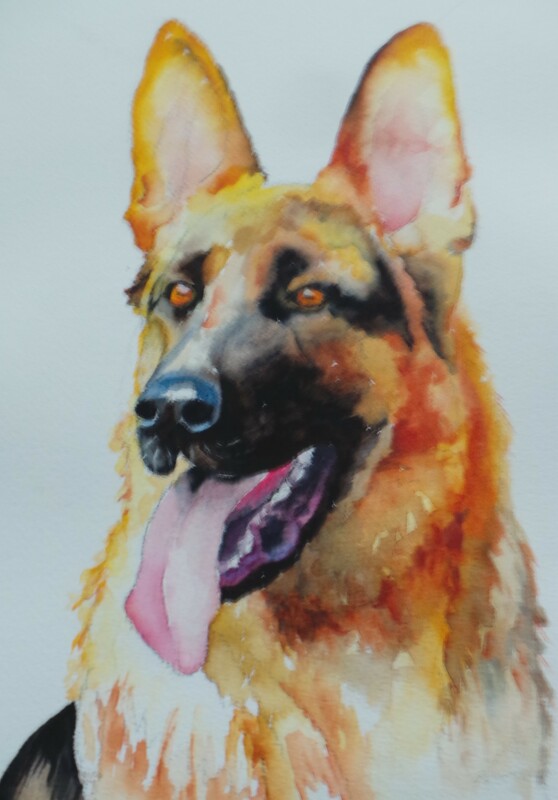 This is one of my recent painting. 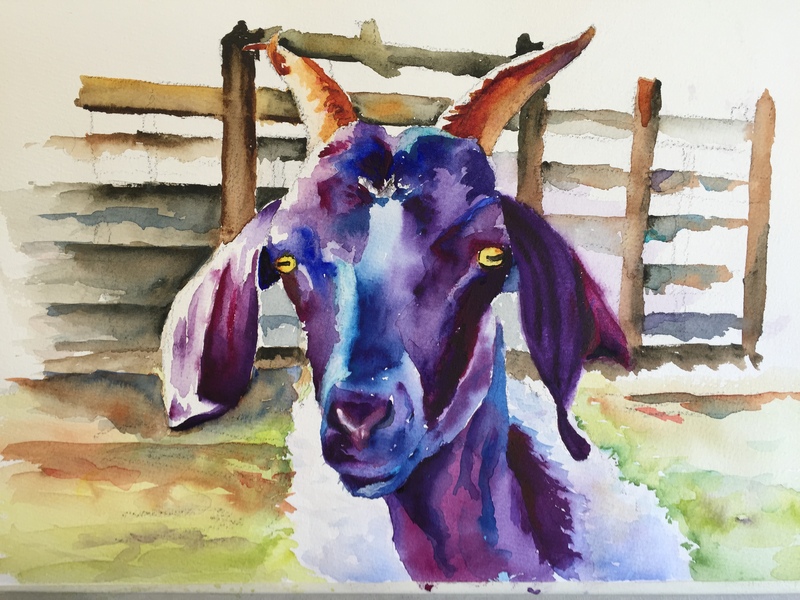 I love goats because they are so personable, funny and lively. Also – their eyes are so neat-almost on the side of their head! 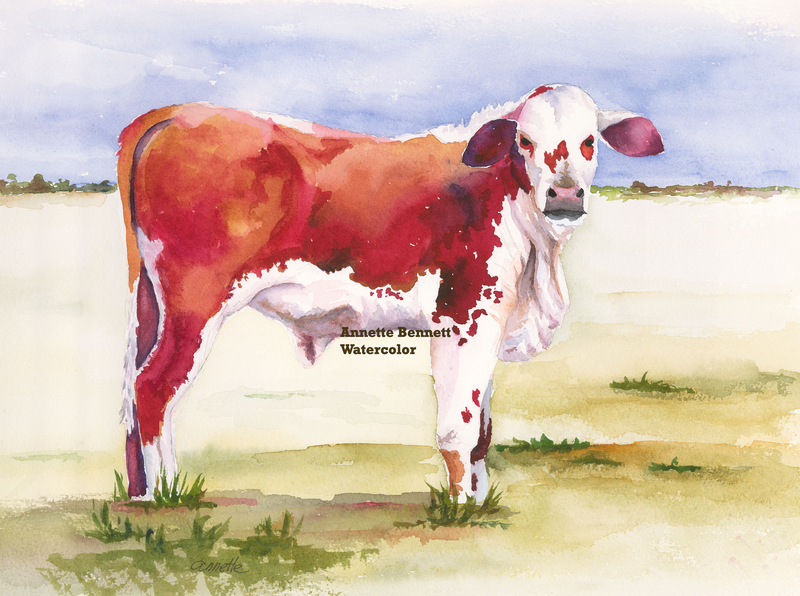 This painting won 2nd place at the Gillespie Co. Fair in Adult watercolor. Prints for sale at click here. 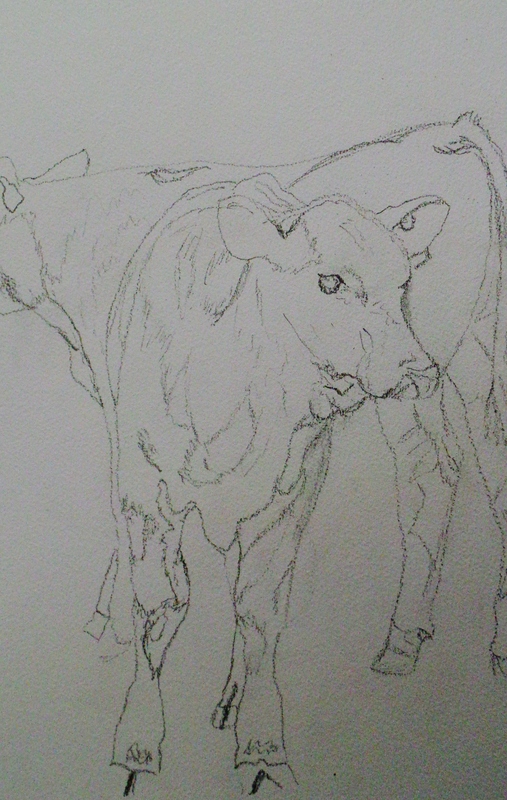 I thought it might be interesting to follow me as I work on my next watercolor painting. This is a behind the scenes look at the creative process- for me, anyway. First I take a ton of photographs of a subject, honestly, usually over 1,000 images. Yes, I have a “continuous shot” option on my camera and I use it. Animals can make a movement quickly and give no warning. So, if you have to try and anticipate what they are going to do and if it will be a good shot – it’s hopeless. So, after I take 1000+ shots, then I download them on my computer, and quickly scan through them to decide which might have potential. I go through several “culling” processes until I end up with 8-10 photos that I think have potential. Then, I enlarge, crop, adjust the brightness ( to see more of the animals color), darken the shadows, etc all on my computer. Then, once I have a picture that I think would make a good painting, I usually print a black and white image of it. I like to print black and white – it kinda frees my mind to explore colors and not be restricted to trying to match what is actually on the animal. Then, I decide how big of a painting I want to make. I try to make all my art so that it will fit in pre-made frames – kinda standard sizes, to keep the costs down. Once I have decided on the size, then I draw the image onto my paper. 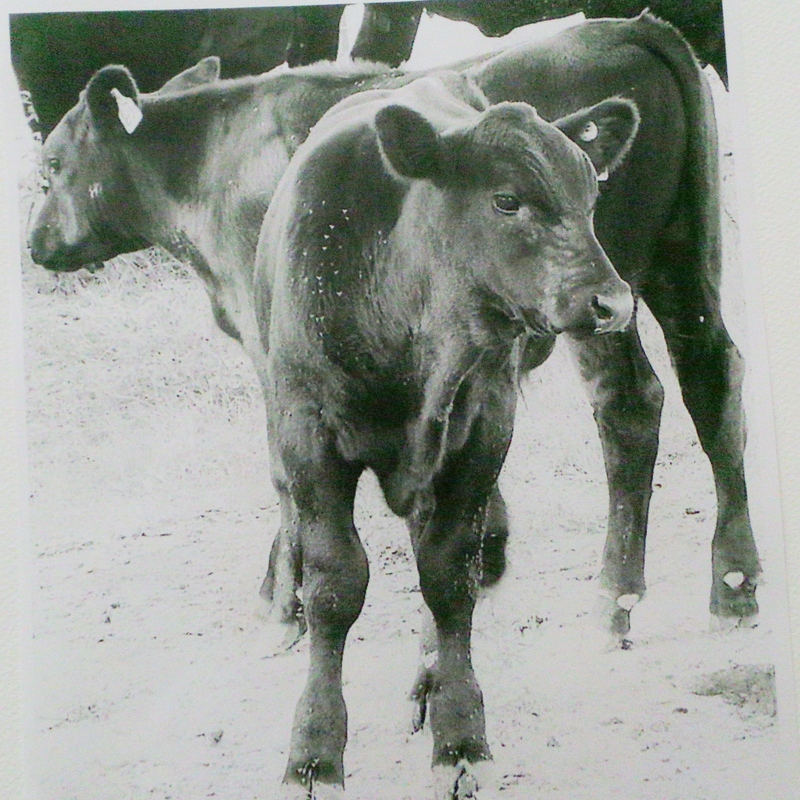 This one that I am working on is two black Angus calves. I took the photographs at Linda Treibs, Fredericksburg. They had gathered up the cattle into a pen and so I was able to get some group shots. I took some lovely photos at a local ranch owned by Linda Treibs and her husband. She graciously drove me around and help me get some great photos of all her livestock. These are some of the beautiful Angoras.